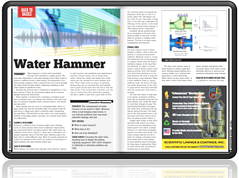 Valve Magazine’s feature of DFT Inc. provides a 360 view of water hammer. This resource is a great read for plant managers and engineers looking to protect their flow systems. Get your copy of the article now by filling out the form.